Visiting more and more places each year, Belmont University students are given tremendous opportunities to learn while traveling through the University’s Office of Study Abroad. In addition to traditional semester or year-long programs, students have the freedom to choose from a wide range of short-term programs, both overseas and in the U.S. The Office of Study Abroad and division of Interdisciplinary Studies & Global Education work hard to create programs designed specifically by faculty and for students. 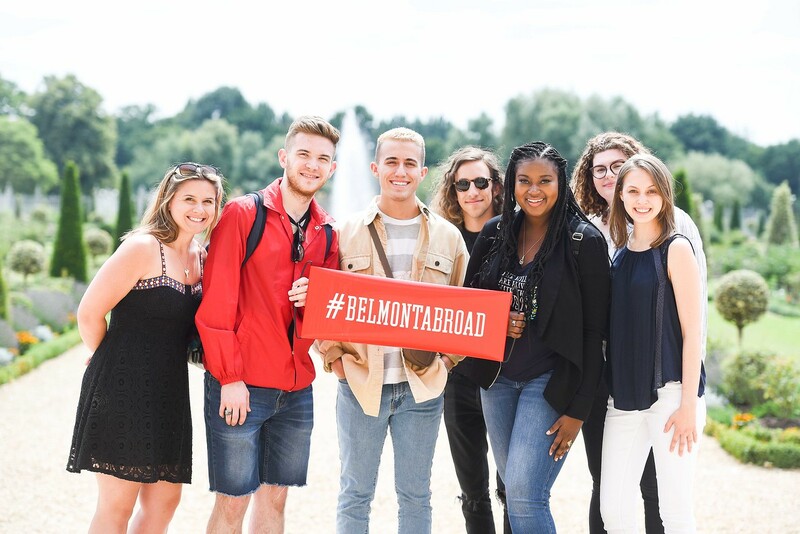 With almost 900 students studying abroad last year, Belmont focuses on keeping up with student demand and creating new and engaging trips. New study abroad opportunities for students in 2019 include trips to Jamaica, Norway, Prague, the Bahamas, France and Germany, among others. Belmont’s Office of Study Abroad has also opened trips within the U.S. that focus on topics such as music, civil rights, food and culture and the environment. Belmont in Bahamas: A Study of Cruise Entertainment & Management: Students will have the opportunity to cruise to the Bahamas for a special study of the entertainment operations of the cruise industry. Belmont in Jamaica: Economic, Cultural and Social Dynamics. Yeah Mon! : On this trip, students will learn about the island’s entertainment, food, music and sports industries while being exposed to the rich culture and history of Jamaica. Belmont in Norway: Music and Happiness under the Midnight Sun: Visit Norway and learn about how Norway is one of the happiest countries on earth through studying folk culture, music and their relationship with nature. Belmont on the Civil Rights Trail – The Light of Truth: Travel around the U.S. touring iconic civil rights locations while watching movies on the bus related to the topics learned about to enhance your trip. Popular trips among students returning for the 2019 year include the Hawaii Maymester month long program, Belmont in South Africa and Tanzania as well as the return of the Belmont at Bonnaroo trip. These trips, and many more, are just some of the wide variety of study abroad options where students can visit a variety places and cover a variety of topics. Belmont Study Abroad features both long term, a semester in length, opportunities as well as short term trips that last anywhere from a week to a month long. Long term programs can either be exchange or direct-enroll in a program abroad or through affiliate program providers. Short term trips are led and designed by faculty to explore one or two certain areas of study while giving students the opportunity to travel to and discover a new place. In 2019, study abroad will be offering students the opportunity to study in 50 different countries. Apply now through the Office of Study Abroad. The application deadline for 2019 Spring Break programs is Nov. 15, while applications are due for 2019 Maymester and Summer programs by Feb. 1 and Feb. 15 respectively.